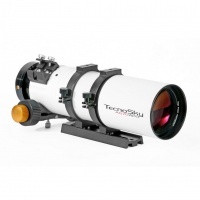 The Tecnosky 115/800 is an excellent value Triplet Apochromat using an FPL-51 element. 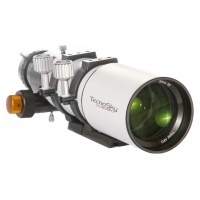 The design has proved itself capable of excellent results and offers very good value for money, being equally suited for observing or imaging. 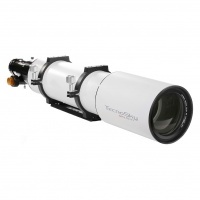 With FPL-53 Super ED glass and a quality 2.5" focuser, the 125 FPL-53 Doublet offers excellent colour correction and is suited to to both observing and a wide range of imaging tasks. The AG70's optical design features a front FPL53 / Lanthanum doublet and two rear correcting elements to guarantee images free of false colour that are sharp to the very edge of field for imaging. 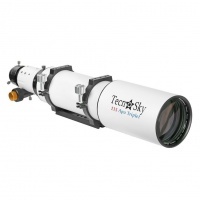 The Tecnosky 102 represents an outstanding value scope for beginners or even seasoned astronomers. Its compact dimensions make it easy to transport. Its light weight does not place heavy demands on a mount. 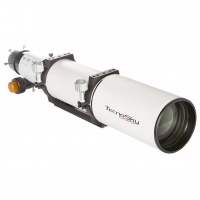 The Tecnosky 80/480 Triplet is an outstanding value Triplet Apochromat using an FPL-53 element. The design has proved itself capable of excellent results and offers very good value for money, being equally suited for observing or imaging.